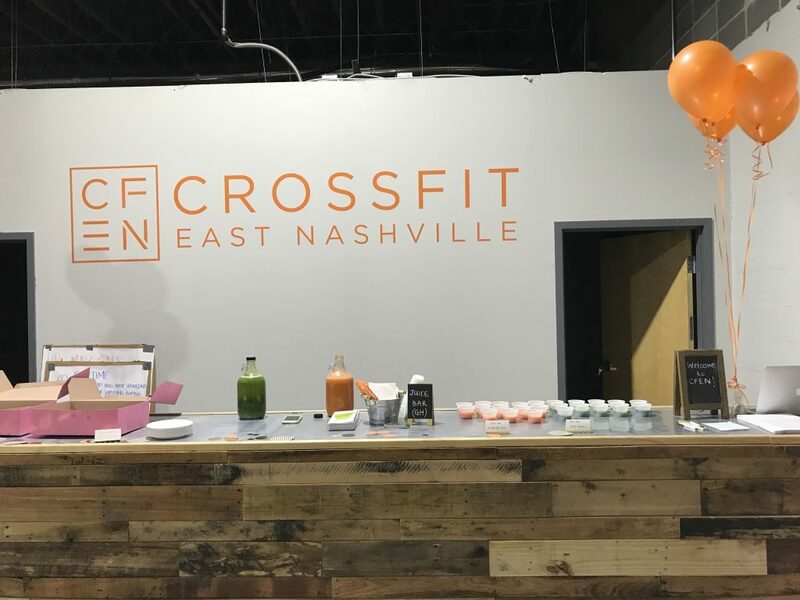 I was pleased to be the Exclusive Representative of CrossFit East Nashville (CFEN) for their newest Nashville facility right on the East Bank riverfront in Downtown Nashville. Josh, Caleb and Katie are incredible people with big hearts who have created a super inviting workout experience for both locals and visitors alike. If you LOVE CrossFit, you are going to love their new Nashville space! In June of 2017, I was able to procure and negotiate the signing of CFEN’s Commercial Lease at 400 Davidson St., Nashville, TN 37206. The property is owned by a group of unrepresented out of state investors, Working through the project with them had it’s fair share of challenges, like the one crazy partner that wore a toupee and always went back and re-negotiated the contract when ever he felt like it, but in the end we triumphed. I was also able to save my clients $247,422​ over the term of their lease! Not only did I love helping these health oriented clients find and turn an old warehouse into a well oiled athletic profit machine, but it felt amazing getting them such a deal to impact more lives in a positive way. Right next to the greenway in Downtown Nashville, the property is the perfect home for an urban gym concept without the urban price tag! Prior to CFEN, I had been lucky enough to work with multiple fitness and wellness based clients, and had developed a soft spot for Gym design. 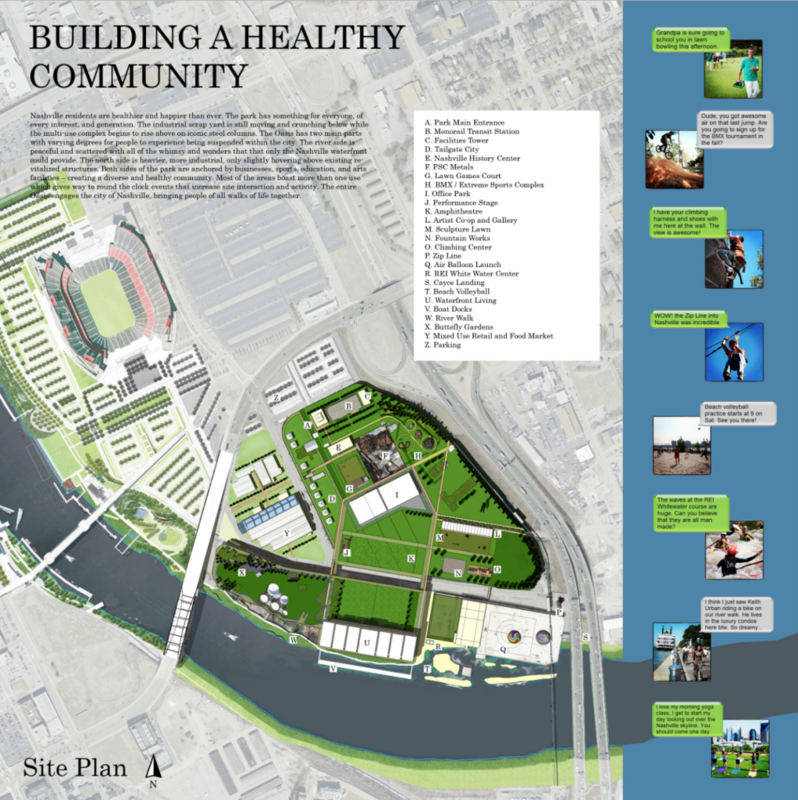 It’s part of my never ending desire to create space that lead peopler to live healthier happier lives. And Gyms are BIG spaces! Out of all of the Architectural research I did, most of the gyms you frequent would be more than 25,000 SF. In comparison, the Downtown Nashville YMCA is 205,234 SF, and the average Planet Fitness starts at 20,000 SF. CrossFit Gyms usually require less space because of their scaled back equipment lists, and raw approach to physical conditioning. 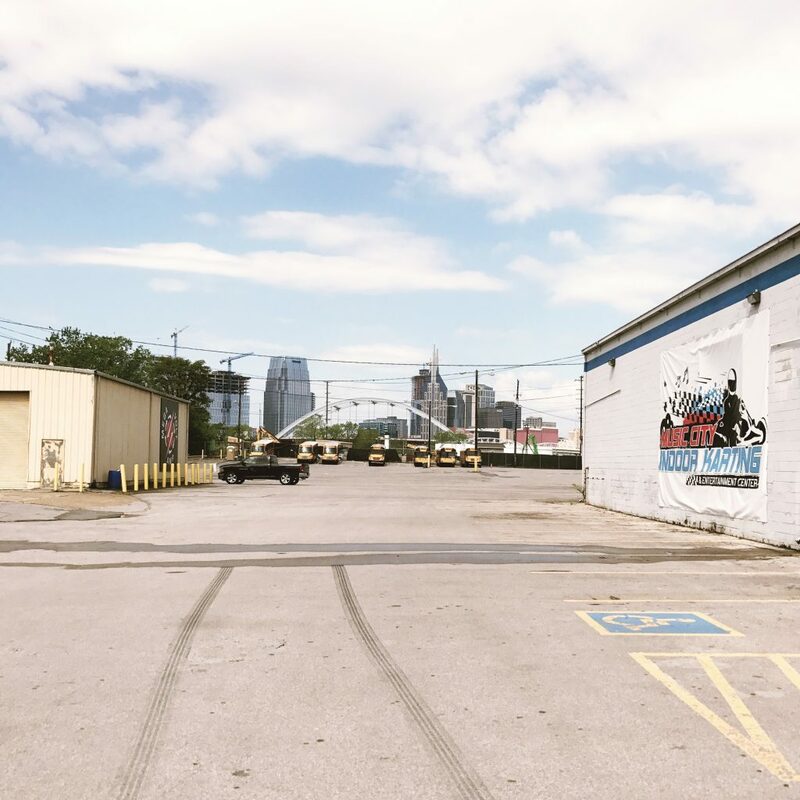 CrossFit East Nashville’s 12,000 SF facility is really more like a 16,000 SF dream space with room for everything a CrossFit or other gym concept would need, AND exterior amenities to boost gross useable space and convert that SF into additional profits. If you want to open a gym, you need to plan BIG. The owners knew they wanted to be in East Nashville and close to Downtown. Done! I had been eyeing this riverfront property above ever since I entered a city planning Design Competition for the site years prior. I had originally planned a White Water center and Air balloon launch for this exact property! Along with Yoga lawn city views, rock climbing, and other fun outdoor sports. 5,000 SF Minimum – Our search included a Min, but no maximum, so we could capitalize on “bulk discount” type lease rates if available. Open bay space structure – Industrial properties are ideal for this! This property has 50 SF sized Bays. Large Roll Up Doors – All of my prior Industrial and Architectural experience came in handy for understanding the true value of these types of systems, and negotiate the deal like an industrial market tenant would. 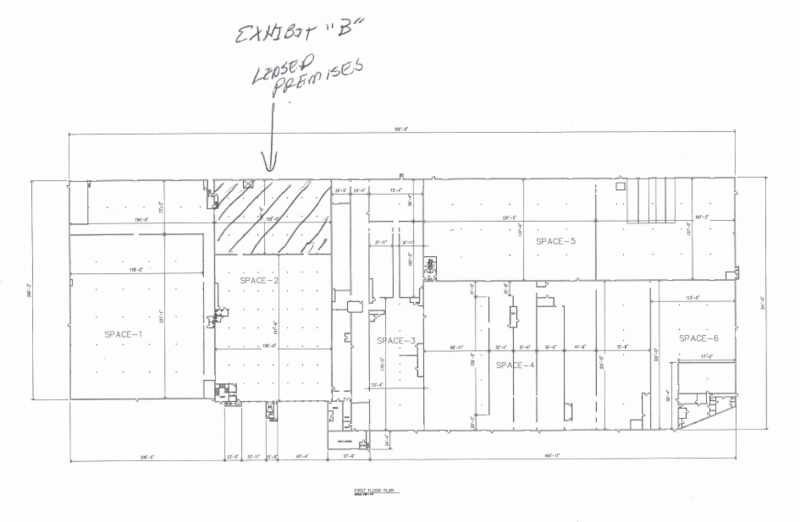 Zoning and Codes understanding relating to Occupancy type, fire protection, egress and life safety – Meaning for the size and scope of most gyms, sprinkler systems are required! Lots of Lead Time – We started aggressively searching for their space in January 2017, put in an offer April 2017, finalized a lease signing in June 2017, and they had their Grand Opening (donuts included!) the following February 2018. CrossFit East Nashville’s space has a lot of added value! We found the space to be an undervalued asset operating at Industrial lease rates, when it could be commanding higher rents. Hello tenant savings. I was able to effectively communicate the value of the Tenant because I was intimate with the details of the Property, Master Plan, Opportunities, and Architecture of the project. I was also able to be of advantage as I was the local expert for both sides of the transaction. The property sits next to one of Nashville’s greenways and has incredible views. The industrial structure, size, and scale, fits perfectly for fitness uses and the complex also has Air Soft, Go Kart racing, and now Boxing tenants – all live action type users. #SouthernAthenaTips “Stay Close to Your Competition.” It is located on the way in and out of Downtown, making it an easy drop off coming or going to work. The owners are also really close with their target market in East Nashville. And they both live and work locally. Umm, and you can literally run downtown from their facility! And their brand color is Orange, GO VOLS! Get Fit in Nashville, Locally! I love working with people doing great things for their local communities. That is why our Mission is all about “Building A Beautiful South”. We can make a bigger difference in the lives of those we serve because we are intimately familiar with and connected to the people we serve. Our health clients downtown include CrossFit East Nashville, MissFit Academy, and Float Nashville. You can also check out The Zen Den and The Chrome Bar, other East Nashville based health oriented businesses we have had the pleasure to serve. If you like fitness and want a place to grow, you have to check out CrossFit East Nashville, and be sure to tell them I sent you! Say hey to Josh, Caleb and Katie for me. I hope you love their business and gym as much as I do.